It’s amazing how a new body kit and a custom paint job will transform your once-average car! I was extra, extra excited to get this job in the shop because, as some of you may know, it is MY car! There was some body work to start with. 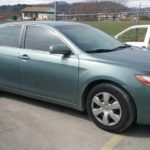 I may have dinged up a few areas on the car over the years (hey, it happens! ), which we still needed to fix. 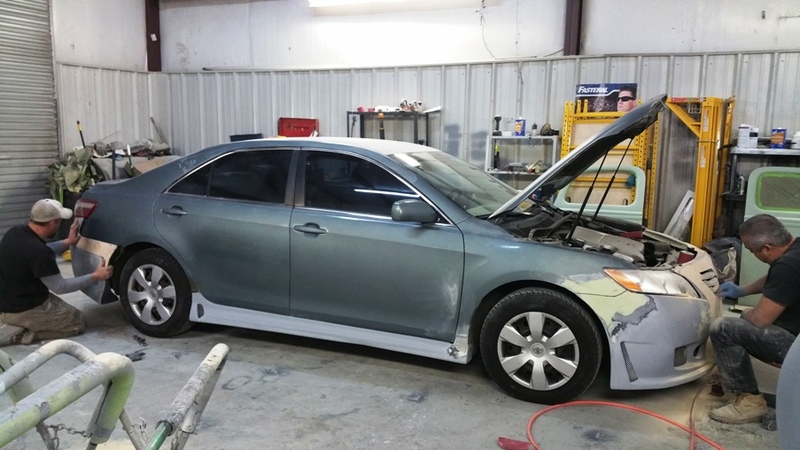 With the new body kit, we replaced both the front and back bumpers, which saved us from repairing those. The roof needed the most body work. Anyone remember this little ad I put up last winter? During a bad snowstorm, our car port caved in on the poor gal. 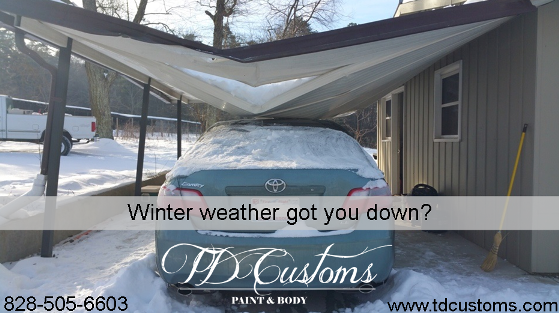 Luckily, it didn’t go through the roof so we waited until we were doing the full paint job to repair it. 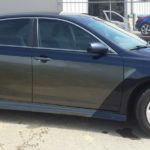 The new body kit included new front and rear bumpers and side skirts. We took the old parts off, and installed the new ones. This involved body work as well. Sometimes body kits perfectly line up with the cars they are intended for, and sometimes modifications are needed. This body kit didn’t come with pre-drilled holes or anything, so unfortunately, it required more work than most. 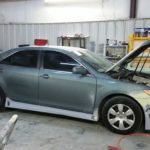 As you can see in the picture, there were several areas that needed auto body work on this one. Body kits are a great way to change the look of the car. 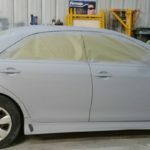 To see the kinds of body kits available for your car, just do a quick Google search for “body kits for a.. year/make/model”. 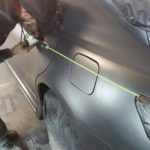 Different body kits are available for different cars, so start by looking up what options they have for your car. 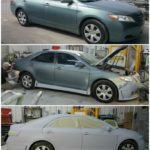 From there, speak to your body shop about the work needed to paint and install it. 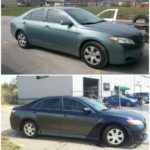 We can match the new parts to your current paint color, or you may decide to change the paint job up completely, like I did. 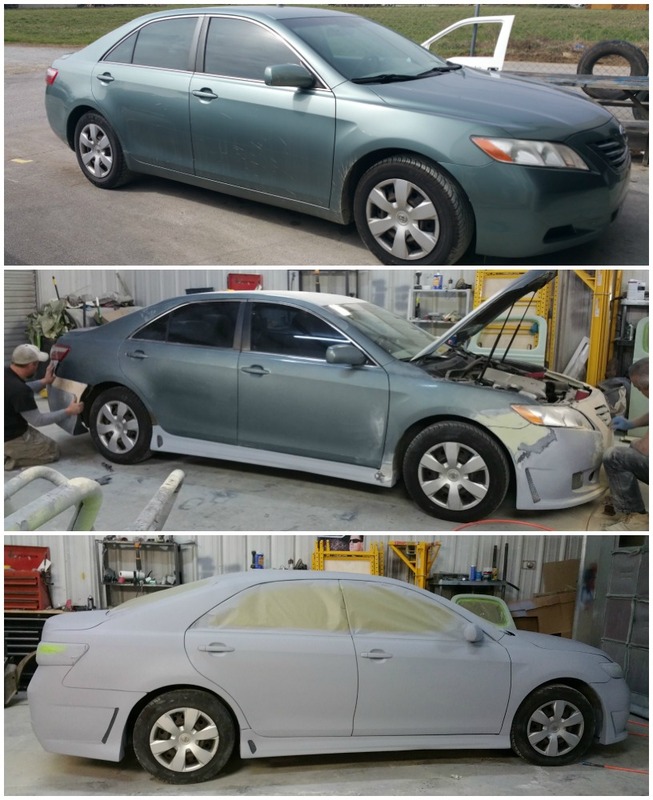 I love a car in primer because it means the possibilities for paint are endless, a true blank slate. 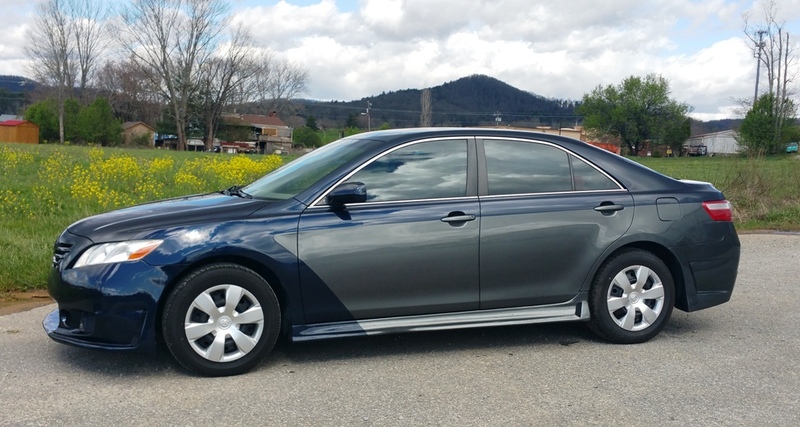 For my Camry, it took me awhile to figure out what kind of paint job I wanted. 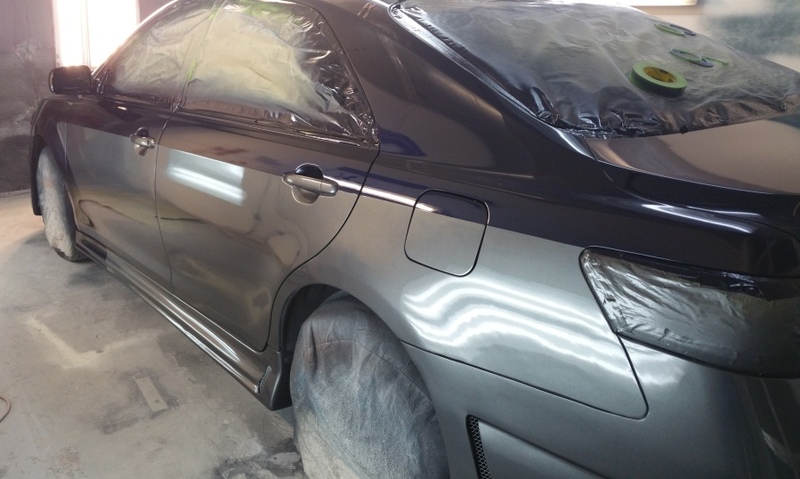 It’s always good to look at the body lines on the car, especially if you are thinking about two-toning it. 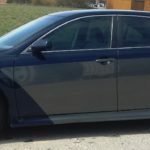 On this car, you can see an accent line going from the tail lights, through the door handles, and then up to the front fender where the corner angles down. We decided to use this line to divide the two-toned paint scheme. 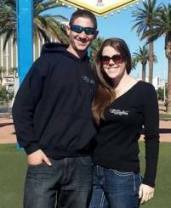 The paint colors I chose were blue and silver. Awhile back, we painted something else in this particular blue, and I liked it do much I kept it in mind. It has a nice sparkle to it in the sun, but looks darker or even black in certain lights. For the silver, we found one that compliments the blue color in a subtle but noticeable way. We also made sure the colors were similar in their metallic shimmer. I didn’t want one color to be a lot sparklier than the other. 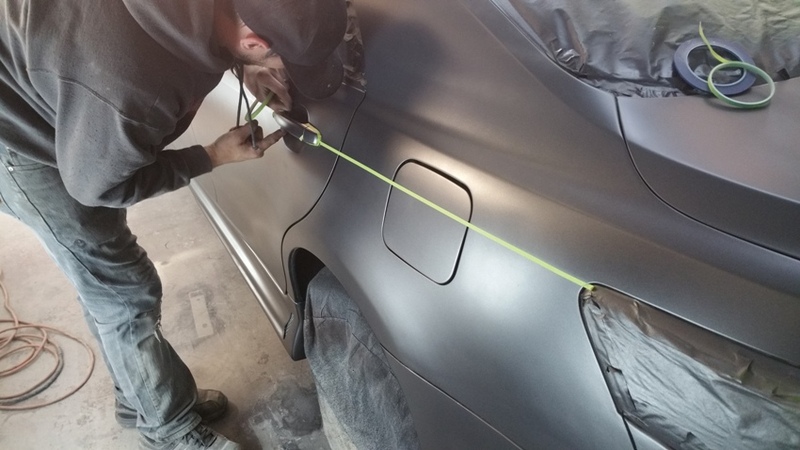 Here at TD Customs, we totally get wanting your vehicle to look cool and be a representation of who you are. If you can, you want to love the car you drive every day. We are the same way. I love looking at my car now! 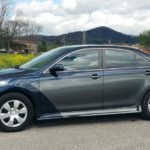 Do you feel just ‘eh’ about your car? Not ready to get another? 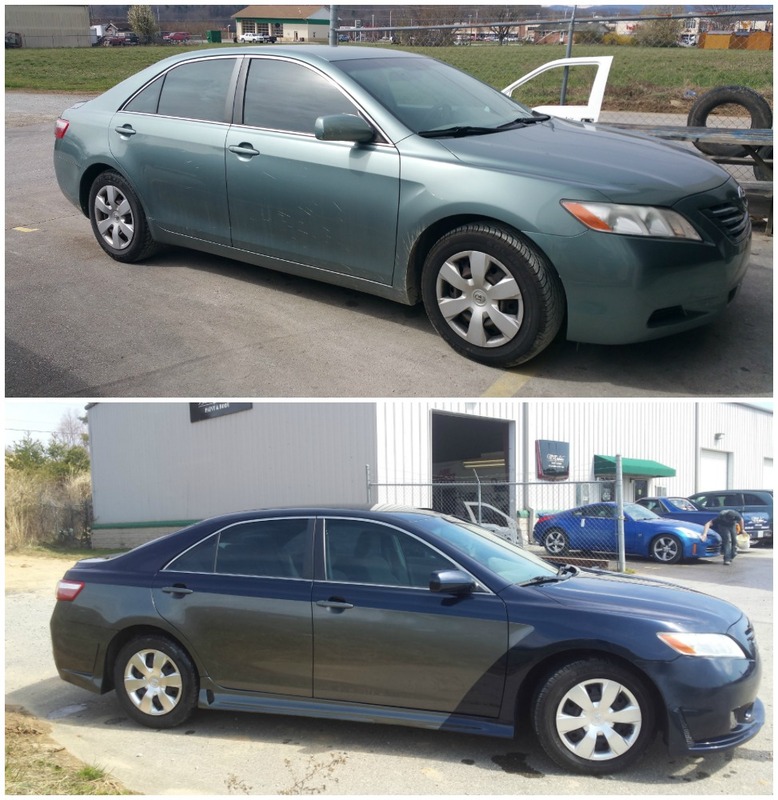 Just repainting the car or changing up the body with new parts, like we did here, really makes a difference. 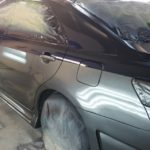 Contact us today to discuss what we can do to turn your vehicle into something new and improved that you love to drive. 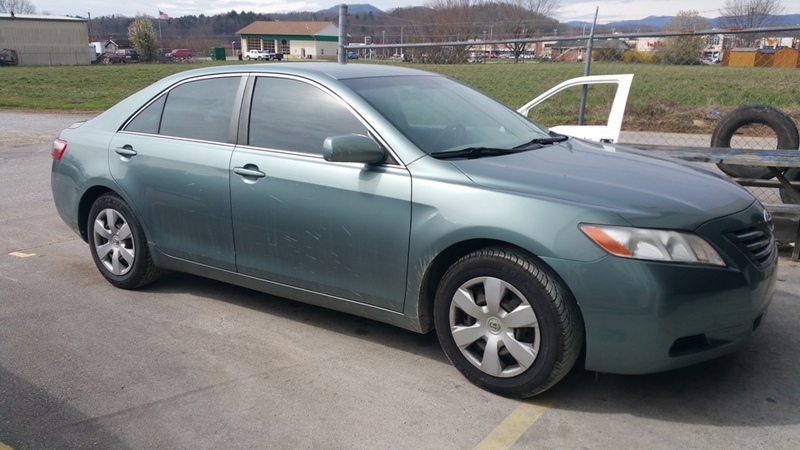 2 Replies to "2008 Toyota Camry Makeover"
I would like to find out of your car was oven baked? Not oven baked, it was painted in our paint booth. Oven baked is faster, but not always necessary.